Medical News Today: Can we heal wounds by printing skin? Whether you call it hot cereal or porridge, the concept is the same—it’s hot, it’s creamy, it’s delicious, and it fills you up in the morning. 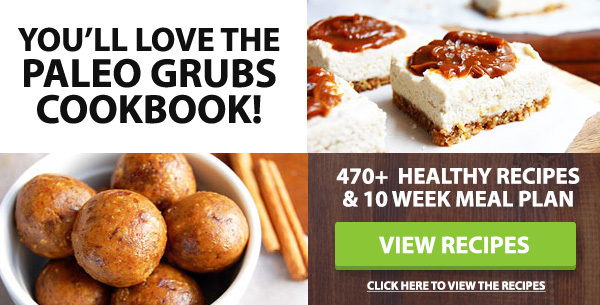 So try this paleo hot cereal recipes with no grains or dairy! Apple and cinnamon, of course, are best friends. But what if I told you there was a super secret ingredient in this porridge that you’ve probably never had for breakfast before? It’s cauliflower! The cauliflower in this recipe creates a texture that’s similar to oatmeal, and super healthy. This creamy and delicious hot cereal is topped with strawberries, raspberries, and blueberries, and it’s full of protein from the egg cooked into the almond flour. Butter, ghee, or coconut oil adds healthy fat, coconut milk makes it extra creamy, and you can use any paleo sweetener you like. 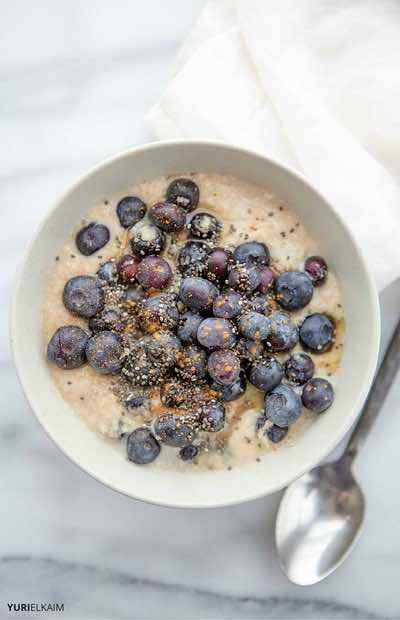 If you’re looking for a super hearty hot cereal that’s full of nutrients, Omega 3 fatty acids, and healthy fats, try this hemp seed porridge using chia seeds, flax seed meal, and water or your favorite milk. A little maple syrup sweetens it, while cinnamon and vanilla play with the nutty flavors. 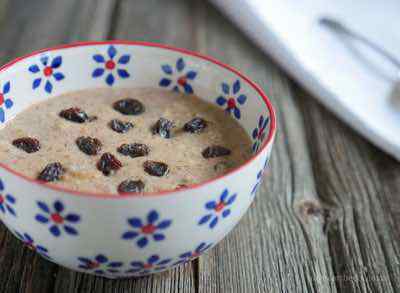 This hot cereal is rich in protein and flavor, and has a texture that’s similar to traditional cream of wheat or cream of rice hot cereals. You’ll need cashew, almonds, walnuts, applesauce, cinnamon, cloves, coconut milk, chopped apples, and some optional maple syrup. Obviously since it’s paleo, this mix doesn’t really have oatmeal in it. But it’s a great substitute for instant oatmeal for those of us who like hot cereals in the mornings but don’t have a lot of time to make them from scratch. 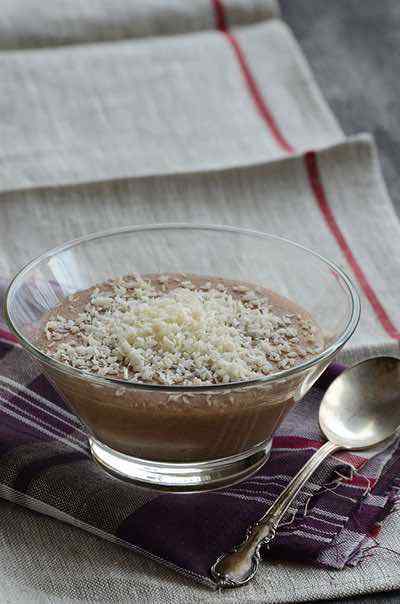 All you need is almond flour, shredded coconut, cinnamon, and sea salt. Bananas are one of my favorite fruits, and they almost always find their way into my breakfast. Caramelizing them is an amazing way to get a little extra sweetness in there. This cereal has a base of pecans, cashews, coconut milk, and dates. Super yummy! I’ve enjoyed this recipe a few times over the past few months, and it’s very easy to make. You’ll need hemp hearts, non-dairy milk of choice, flax and chia seeds, cinnamon, stevia, vanilla, cinnamon, and crushed almonds. Feel free to top it however you like! Macadamias are a creamy nut to begin with, and when you add applesauce, almond milk, honey or maple syrup, and sticky dried figs, you end up with a hot cereal that’s about as creamy as it gets and can be topped with nuts, berries, dried fruit, honey, or maple syrup. This cauliflower and coconut porridge doesn’t taste like a vegetable, but like a sweet, coconut hot cereal you could enjoy for days. You’ll want to add cinnamon, vanilla, or both, and top it with berries, sugar free jams, or other homemade and delicious toppings. This vanilla bean porridge is elegant and sophisticated, but that doesn’t mean you can’t enjoy it in your pajamas on an early weekday morning. It’s made with coconut milk and chia seeds with a whole scraped vanilla bean and caramelized sautéed pears in butter and coconut nectar. Anything with “cinnamon roll” in the title is going to get me excited in the morning. This apple cinnamon roll hot cereal is made from a coconut flour base with cinnamon and vanilla, and it’s topped with cinnamon apples and a coconut butter drizzle. This oatmeal is totally oat-free, as it’s made with unsweetened applesauce, cinnamon, vanilla extract, crushed pecans, butter, and maple syrup. Using the egg makes this porridge really stick to your ribs to keep you full, and add lots of healthy protein. Almond butter makes this porridge nice and rich and creamy, while adding a lovely flavor. With almond milk, chia seeds, apple, and pecans, it’s sure to keep you full until lunch time, and satisfied with the lovely flavors of cinnamon and spice, sweetened with coconut sugar. 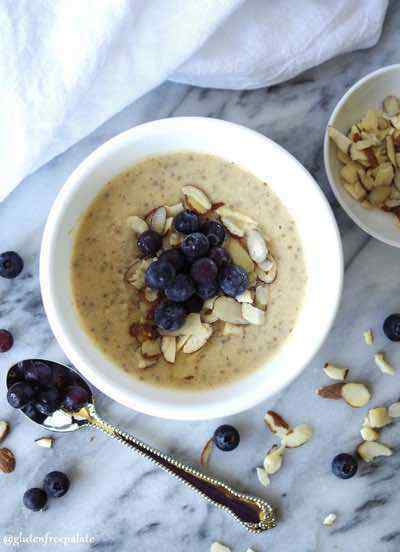 This banana nut porridge has a nut base with cashews, almonds, and pecans. Mashing a ripe banana into it adds sweetness without the need for additional sugar, and it also makes the porridge a bit easier to digest. Don’t forget the cinnamon and coconut milk! 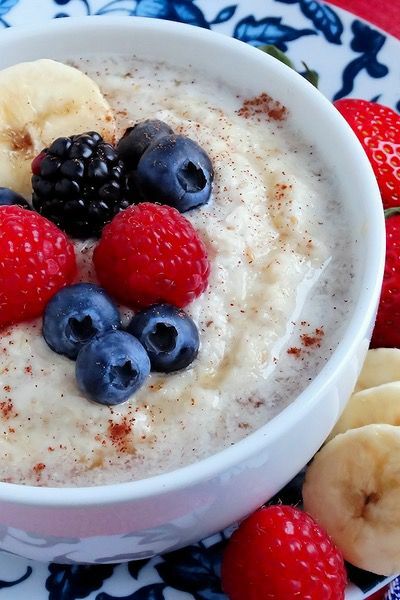 Made mainly with ripe bananas and coconut milk, this deliciously sweet porridge is packed with protein from almond and flax meal, and has bursts of flavor from cinnamon, ginger, cloves, and nutmeg. If you need to sweeten it you can add a bit of maple or honey, but I think you’ll find that the bananas do the trick. While there’s no wheat in it at all, this porridge has a texture and flavor that might remind you of that creamy hot cereal you ate as a kid. This one is made with almond and flaxseed meals, almond milk, maple, vanilla, cinnamon, and a pinch of sea salt. 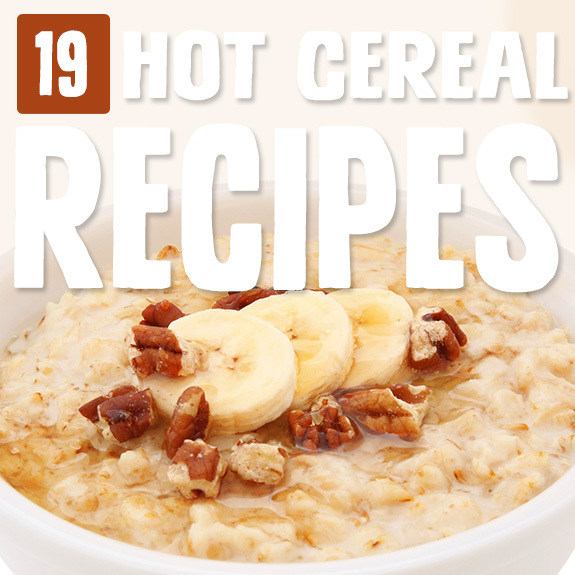 Need a hot cereal that’s free of nuts, too? Try this banana porridge with plenty of protein from eggs whites, and creaminess from coconut milk. Golden flax seed, hemp hearts, and vanilla re also hiding in here, and if you can eat nuts, a bit of almond butter goes a long way. Butter, too!